At Qudini we love a great success story, and one customer we’re particularly proud to mention is O2 who reduced walkouts by a whopping 62% with the help of our cloud-based digital queue and appointment management system to manage customer service in their stores. 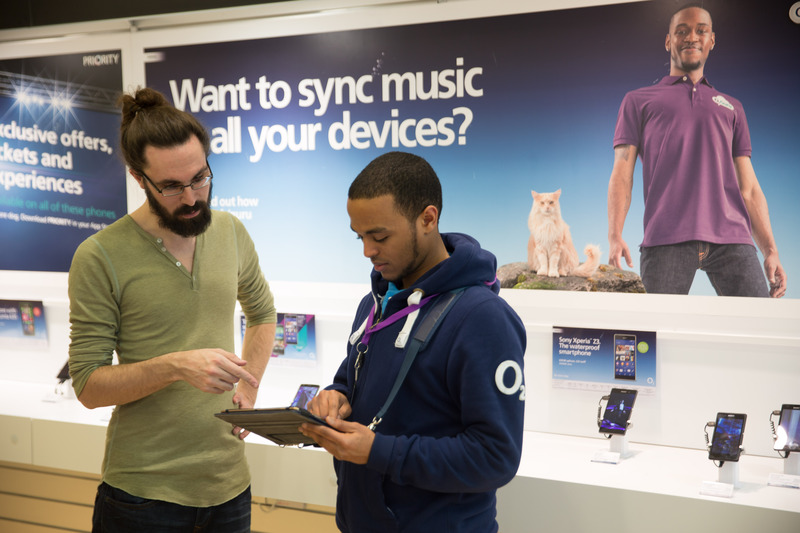 Managing customers waiting for service at O2 stores previously involved using clipboards, but concierges were unable to understand their colleagues’ activities as the clipboards became increasingly scruffy. With staff unable to provide customers with accurate wait time information and ensuing long queues, many customers would leave the store without service. O2 therefore enlisted Qudini’s expertise in queue management to change this. Qudini’s solution for 487 O2 stores was the Concierge app where staff could interact with customers upon entering the store, input their details into a Samsung tablet and give them a precise estimate of how long it would take to be served. By Q1 2016, this very solution helped to foster a better in-store experience for the customer, and in turn reduced the number of customers walking out of stores without service by a staggering 62% as can be seen in the below graph. This graph (above) shows how O2 have significantly reduced their % of in-store walkouts by better managing customer expectations and waiting experience using Qudini. It demonstrates within the first 2 months, walkouts drastically reduced as staff initially embedded Qudini into their day to day activities. As O2 then rolled-out Qudini to their remaining store estate (October 2015) it is possible to see a slight increase in walkouts whilst the new stores embedded Qudini, before significantly reducing again. This second graph even shows that over the year, as the stores add more and more customers to the Qudini platform (with significant peaks in October as the remaining stores received the Qudini tool), the walkout volumes have remained remarkably stable. In addition to the solution’s astounding results with regard to customer in-store experience, it’s also proven itself to be great in increasing staff efficiency. This is because the concierge app enables users to delegate customers to the next available staff, as well as providing an overview of their performance and operations. Other areas of growth that O2 has seen as a result of using Qudini is £29million in additional revenue potential and a 900% return on investment. How? One leader in a Nottingham store says that “giving customers estimated waiting times makes a massive difference to their likelihood of staying in store to speak with an advisor”. It’s as simple as keeping your customers assured and inside the store! Once again Qudini has turned something as frustrating as a queue into an opportunity to engage with customers, resulting in great reward. If you struggle with keeping your customers in-store, consider Qudini’s digital queue management solutions and you may see similar results.